When we say Mills for grinding wheat, it can process twp types wheat: Soft wheat and Hard wheat . Because of raw wheat different density, then the final product from them also different , you may get normal wheat flour from soft wheat, while high gluten flour----Semolina produced from Hard wheat. Our Wheat Grinding Mill Machine is the one suit for these two types wheat . 1. Technology in cleaning part: The technology of four screening, two scourer, two destoner, two damper, and three magnetic separator. 2. Technology in milling part: 12sets of FMFQ8×2 Roller Mill,4sets of 6*24K High-efficiency six-section plansifter, 3sets of Double purifier, one set of FSFG4*24K Checker sifter consists of the milling technology of five break, eight reduction, two coarse, two tail, four purifier, and one checker. 3. Wheat flour: according to the customer`s requirement, the final product can be grade 1 flour, grade 2 flour, standard flour or other special-purpose flour. 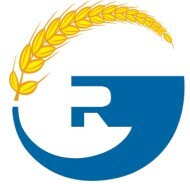 The quality of flour accords with the requirements of GB1355-86 (China flour standard). Byproduct: wheat germ and bran. 4. Power supply: About 580kW. Looking for ideal Mills For Grinding Wheat Manufacturer & supplier ? We have a wide selection at great prices to help you get creative. All the Mills For Grinding Wheat are quality guaranteed. We are China Origin Factory of Grinding Mill For Wheat Flour. If you have any question, please feel free to contact us.